As you prepare to sell your home, a few home improvements are an inevitable part of the selling process. As you prepare to sell your home, a few home improvements are an inevitable part of the selling process. With this in mind, it is crucial to consider which home updates carry the best return on investment so that your time and efforts are not wasted when you sell your home. If you are now in the process of preparing to sell your home in the upcoming year, consider these home improvements for the best return on investment. Polishing your landscape before selling your home is an excellent way to ensure the best ROI for your update. Not only will the curb appeal created by a beautiful landscape draw potential buyers to your home, but it will also appeal to a buyer who is looking for a polished, low maintenance landscape. A dated bathroom is often a major headache for potential buyers, as many buyers would greatly prefer to pay for an updated bathroom. While you may not want to replace every part of your bathroom, a few simple fixture updates can give your bathroom the facelift it needs to sell. Updated appliances are a major selling point for many homebuyers. Before you go to sell your home, consider replacing any dated kitchen appliances, such as a stove or microwave, with updated ones for a potential buyer. This will help to boost the look and value of your kitchen as you sell your home. Outdoor features can also become major selling points for your home. By adding a deck or porch to the outdoor space of your home, you can instantly boost the appeal of your home to a potential buyer looking to entertain throughout the year. By incorporating new windows into your home updates, potential buyers will be not only willing to pay for the cosmetic update but also the efficient energy properties of the new windows as well. 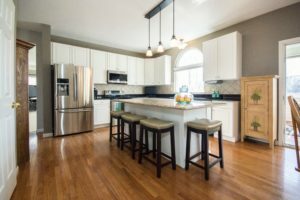 Updated floors for your home are perfect for boosting the overall value of your home, as well as the appeal of your home to a potential buyer. With beautiful, updated floors made of a durable material, a potential buyer will see your home as both well-maintained and move-in ready for a new owner. If you are looking to sell your current home, trust Jack Cooper Law for affordable, professional, and accurate legal and real estate assistance. Let our excellent team of experienced Maryland real estate attorneys provide you with expert counsel and information. In working with Jack Cooper Law, you will have access to our excellent industry contacts, from trusted and reliable lenders to home inspectors, contractors, and service providers throughout your selling process. No matter where you are located in Maryland, our team is ready to work with you! Call us at 410-465-5822!